The new syllabus for All India Bar Examination- VII has been notified by the Bar Council of India. It makes provision for topics such as Corporate Social Responsibility, Environmental Law, Public International Law and Cyber laws, unlike the past 3 years. The number of prescribed questions for Constitutional Law and CPC have been reduced from 10 to 5, making provision for the 4 new subjects. Questions for Family law have also been reduced from 4 to 2, and contracts questions struck down from 20 to 15. The distribution of marks for the other subjects remains the same. 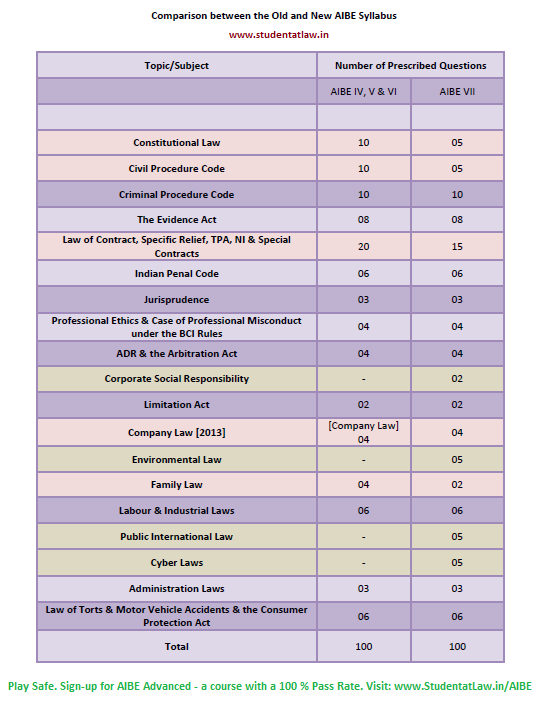 AIBE began in India after the enactment of Advocates Act, 1961, in order to test the ability of the graduates to practice law as a profession in India. It will be conducted in nine languages: Hindi, Telugu, Tamil, Kannada, Marathi, Bengali, Gujarati, Oriya and English and the preparatory materials provided to each advocate will be in the language in which they choose to take the exam. 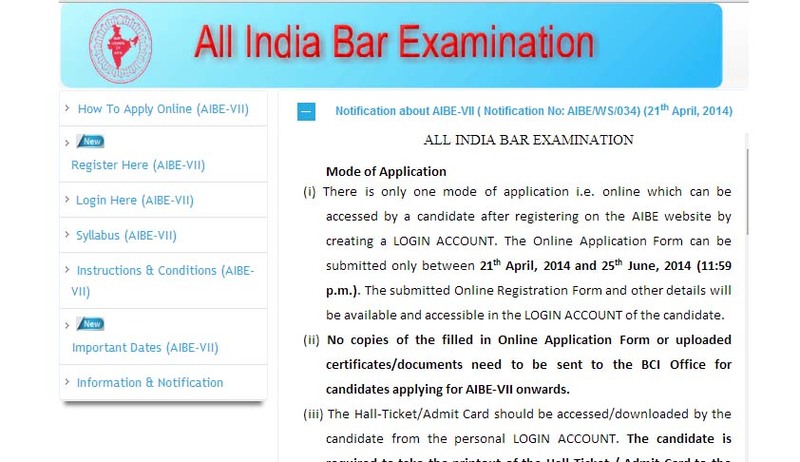 Candidates can apply to appear for the All India Bar Examination 2014 only after enrolling as an advocate under Section 24 of the Advocate Act, 1961 and will have to submit suitable proof of the enrollment along with the application form for the All India Bar Examination. There is no limit to the number of times a candidate can attempt to clear the examination. The qualifying students are provided with certificates of practice by the Bar Council of India. AIBE-VII has been notified to be held on 27th July 2014. View the new syllabus here. View the comparison between old and new syllabus here.